Provide comfort for the family of Kenneth Gardiner with a meaningful gesture of sympathy. 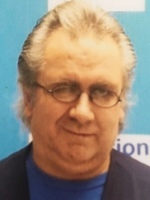 Vernon Twp., NJ: Kenneth John Gardiner, 51 years old, died after a short illness at Newton Medical Center, Newton, NJ on Wednesday, March 6, 2019. Born to Donald A. and Deborah L. Gardiner in Paterson, NJ, he has been a resident of Vernon Twp., NJ since 1978. Kenneth had worked for the last 12 years as a customer service rep at Walmart in Franklin, NJ. Kenneth enjoyed the youth art movement of anime, superhero movies and comic books. Kenneth is the beloved son of Donald and Deborah Gardiner of Vernon Twp., NJ. Dear brother of Christopher Gardiner of Vernon Twp., NJ and Connie Gardiner of Lake Hopatcong, NJ. Graveside service will be Wednesday, March 13, 2019 at 1:00 PM at Clove Cemetery, Wantage Twp., NJ. Funeral arrangements are by Ferguson-Vernon Funeral Home, 241 Route 94, Vernon, NJ. In lieu of flowers, memorial gifts to Karen Ann Quinlan Hospice, 99 Sparta Avenue, Newton, NJ 07860 would be appreciated. I was quite saddened to hear of Ken's passing. I worked with Ken for 10 years at Wal-Mart and always found him to be a gentleman. My condolences to his family on the premature loss of their beloved.